Stairways are one of the greatest spots in a home to hang the art. 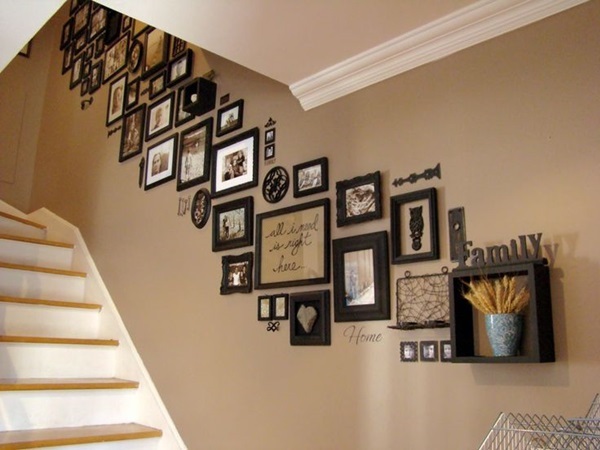 For many homeowners, the ability to beautify the staircase wall decor can be exciting! It provides a blank slate for the home dweller to look at family portraits, eye-catching artwork & much more. Usually, the staircase offers plenty of wall space for using it creatively, since there is no need to consider any furniture placement. The pieces (framed art or artwork) you choose to hang will compete with your window curtains or sofa fabrics in terms of whole scheme! Staircase wall decor will basically depend on size, width & height of stairs & wall of your house. For many homes that have a circular or designer staircase without any wall support, the ceiling may become an opportunity to hang a chandelier of artistic sculpture to the ceiling. While the homes that have a narrow stair well should look at framed art that is proportioned to the wall. Large artwork or pictures can be intermingled with smaller ones as long as the eye doesn’t get distracted while walking up & down the stairs. However, actually creating a hanging art arrangement on a stairway is easier said than done, especially if you are considering a gallery style arrangement. 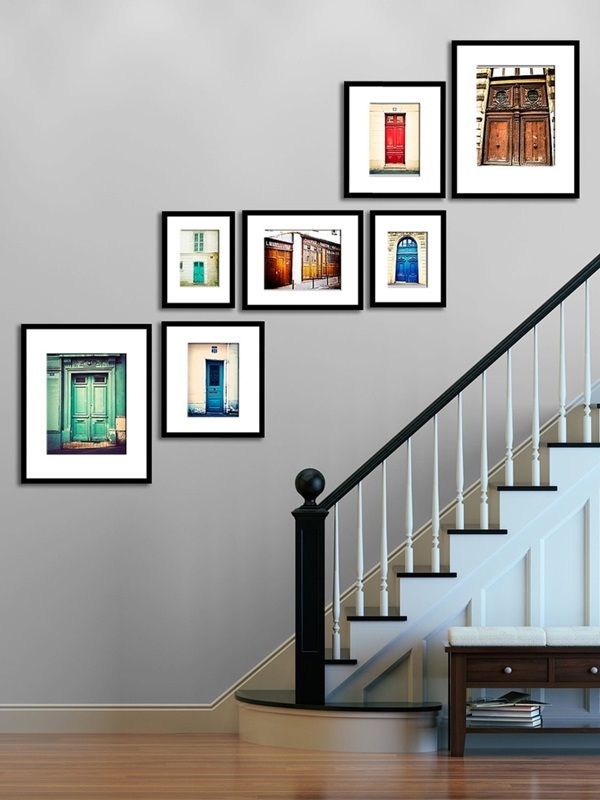 First thing you need to decide while displaying any imagery on staircase wall decor; is whether the frames can really set the tone of the collection & space itself! If you want to go casual, then use different frames all of the same colour. If you have a formal space, then use identical frames hung in an even grid pattern. If you are looking for eclectic, then use mix-matched frames. If you like to change the imagery often, then don’t use the frames at all. So, to help to make your staircase wall decor process more exiting & inviting, we asked our expert installers to offer their best advice for hanging art. Here’s what they had to say. Staircase wall decor is more difficult to layout than a normal wall because of the slope & angle. The best way to start is to lay the artworks on the ground in an arrangement you like. Cut the paper templates and tape it to the stair wall for various alternatives & choices! You will also have to measure the perfect angle (or pitch) of your stairs (modern stairs tend to have a lower pitch and traditional ones tend to have a higher steep), so as you put up each piece nicely, adjusting with others accordingly. Try and make sure the bottom line of the arrangement follows the grade slope of the stairwell. The easiest way to think of hanging staircase wall decor art, to see that each picture should be at a comfortable viewing height as you step in front of it. Also, avoid using large sized horizontal framed art as it’ll not tend to work well! If you want to create a set of multiple frames. First place the first line of frames centered at approx 60″ height from your tread. Then place the other frames to get a balanced and rhythmic set. Previous PostPrevious 8 Different Bean Bag Uses & its Benefits!